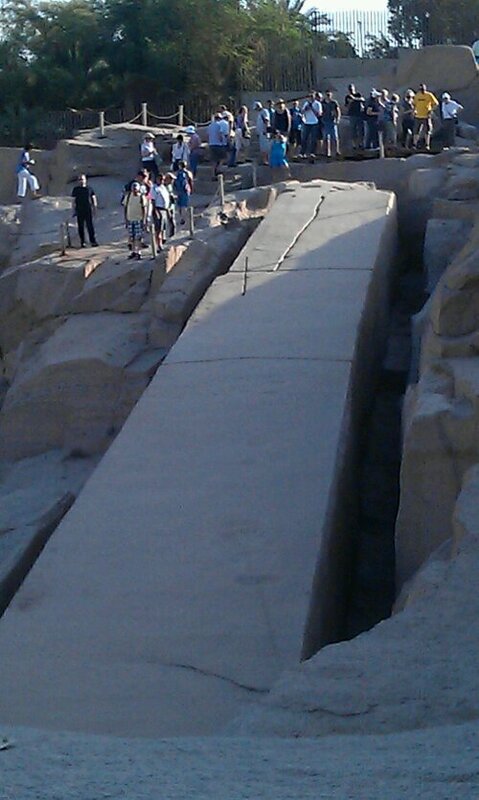 On Sunday we started early because we had a tight scedule: we rushed through an Aswan Quarry where an unfinished (because broken while being cut) obelisk is still lying. Then we went on a quick boat ride to an island where a temple of Isis has been replaced to because its previous island was set underwater after the first Aswan dam was built. And then we went to the new High Dam of Aswan. Honestly this was not really worth a visit. We got of, looked at the Nasser lake and the dam and left again. For Monday you could book an extra trip to Abu Simbel. Surely there is another really exciting temple but another 4 hours ride by bus per way for about 90€ and getting up at 2.30 a.m. was nothing that attracted us. So we stayed on the ship and went for a short walk in Aswan later this morning. Michael needed a hair cut and that was what we were looking for but not much more. After being back on the ship we started our way back to Luxor. After this walk in Aswan and so far Egypt doesn’t feel like a country for me. The sights are great but People try to sell you things all the time and as a woman I don’t feel, well not unsafe, but not so good. You do have women on the street but far more man. And women seem only to shop if at all while men are selling or sitting in cafes and I feel like they don’t want me there and look at me like a stupid tourist woman that you can treat without respect. Nobody ever says something bad but I think: you would never follow one of your women and get on their nerves so why are you do it with me? But I’m not sure if this is because I’m a woman or a tourist or both. 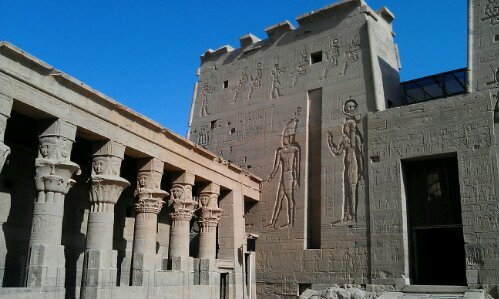 This entry was posted in Egypt and tagged Aswan, Nile cruise, Ruins by kathatravelling. Bookmark the permalink. I’ll let you in on a secret, those men were eyeing you out of inense curiosity because you are so different from all the women they know. But they dont want it to be obvious how curious they are so they put on what they think is an uninterested or harsh face. It’s very confusing, I know. Also, people in southern egypt are mesmerized at how tourists dress, they cover themselves up because of the intense heat and cant understand how tourists survive in pants and regular blouses 😀 I’ve lived there and have heard many conversations about the locals’ wonderings about westerners. It’s fascinating to see both sides of it. Thanks so mucch for your comment! It is always good to get both sides. I think this is the most important thing about travelling: getting to know that there is always more than one side to a story or impression and I’m glad that even when I didn’t get that view when I was there that I get it now via this blog through your comment.